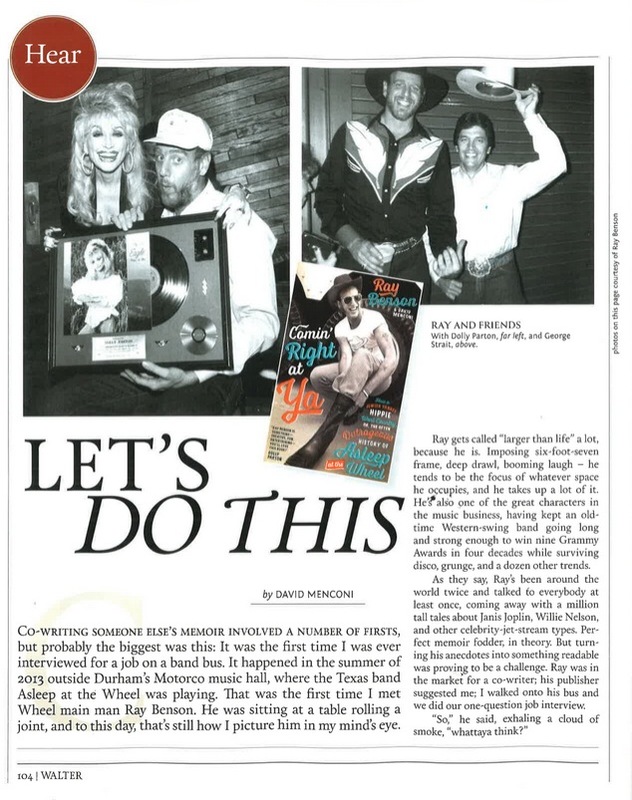 My name appears on the cover of “Comin’ Right at Ya,” but below Ray Benson’s name and in much smaller type — and rightly so. This is his story, not mine, and he’s a lot more famous (not to mention taller) than I am. It’s not unusual for autobiographical memoirs like this to involve co-writers; and if you’re curious about what the co-writing gig is like, I penned an essay about the experience. It appears in the October issue of Walter, Raleigh’s city magazine, in a spread that includes a short bit of excerpted text from the book. Check that out on page 104 of October’s Home & Garden Issue, or here.